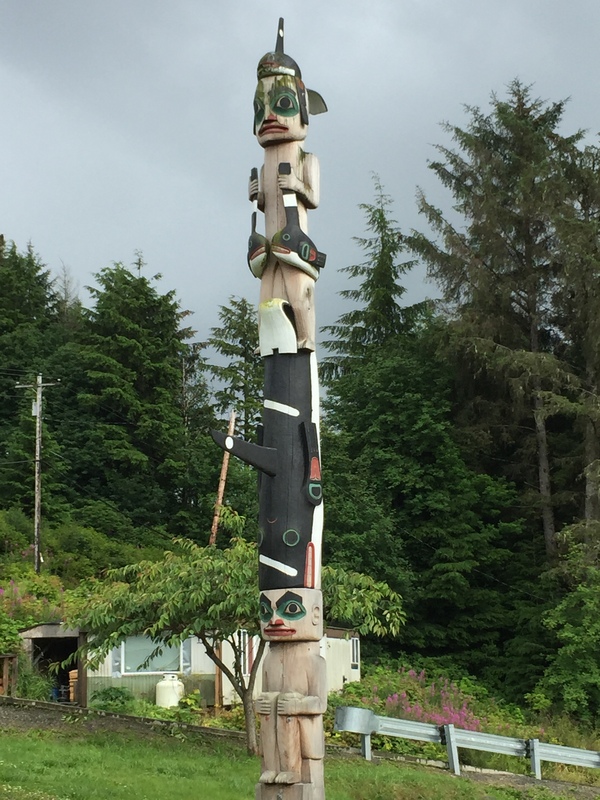 The totem poles are iconic for native Alaskan culture, particularly of the Southeast tribes. 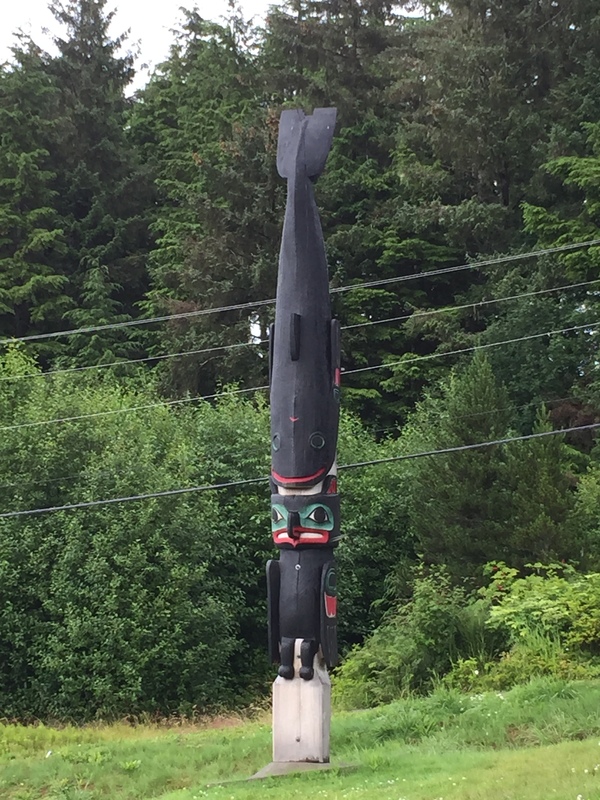 I see them in the Pacific Northwest too. 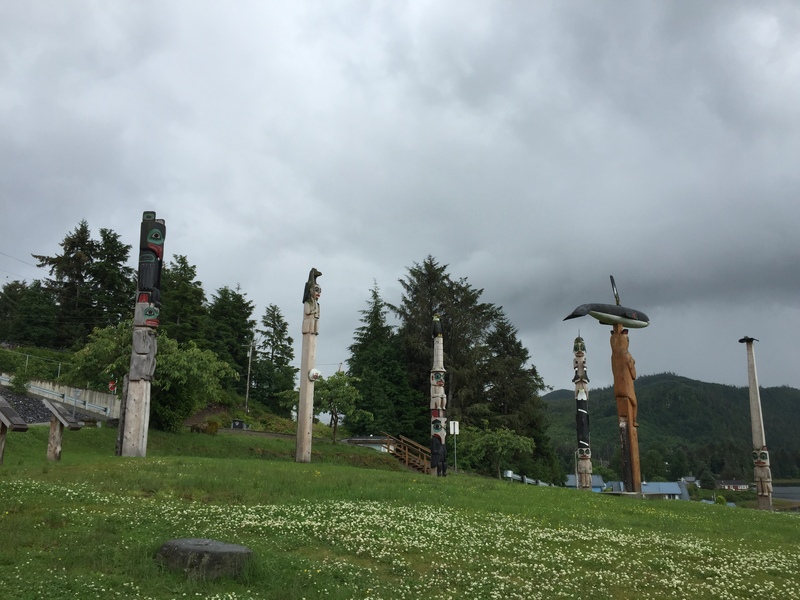 Each one tells a story, and the individual carvings on the poles have meanings. Their stories are beyond my ability to interpret, but they’re fascinating to see. 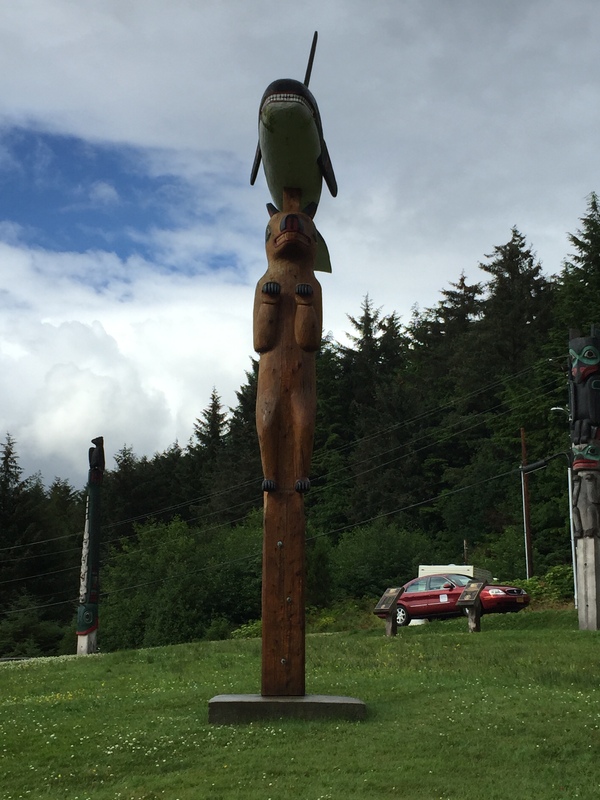 There are a few carvers today that create these works of art, celebrating heritage and culture from the past. This has been a traveling week. It began Monday with all sorts of bumps and changes. 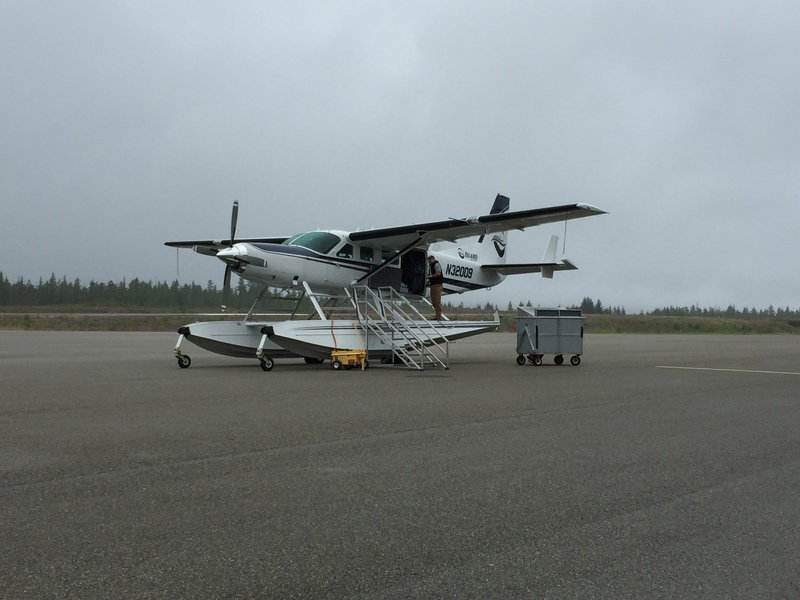 Weather was an issue…foggy and rainy, so the planned float plane trip to the airport became a ferry ride. At the airport, the flight had a mechanical issue, so that meant a change to another airline. There were two connections along the way, and the last leg was one of the near misses, walking off one flight and immediately on to the next. But we made it. Luggage made it. We started early and ended late, but even with the glitches, it all smoothed out. Just like I like it. I love it when life works out, even with lots of opportunity for disaster. 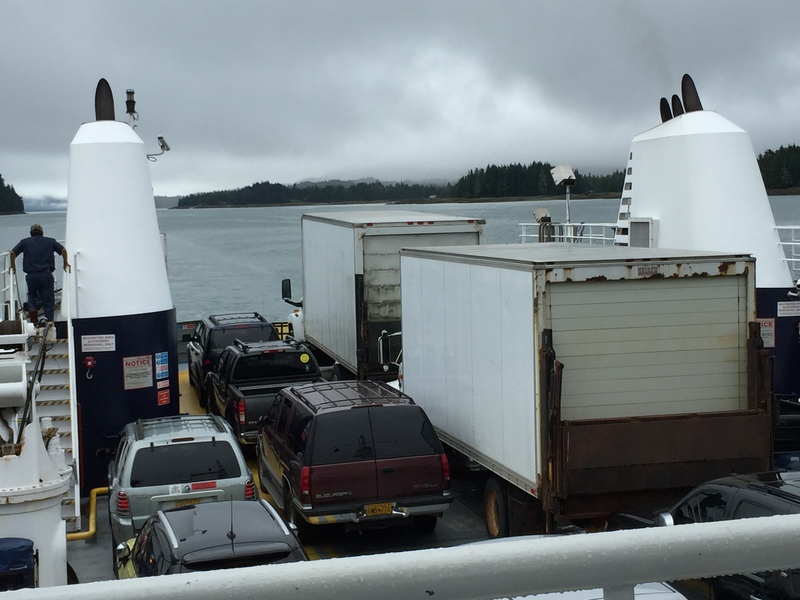 And let’s face it…a missed flight or delayed travel rarely rises to the level of disaster. But I speak of first world problems, in which case, descriptions of near misses in everyday situations are counted as near disasters. For the sake of clarity, I’ll acknowledge that I know the difference. But for literary license, we skirted disaster all day and somehow came through with flying colors. Those airline folks are amazing! 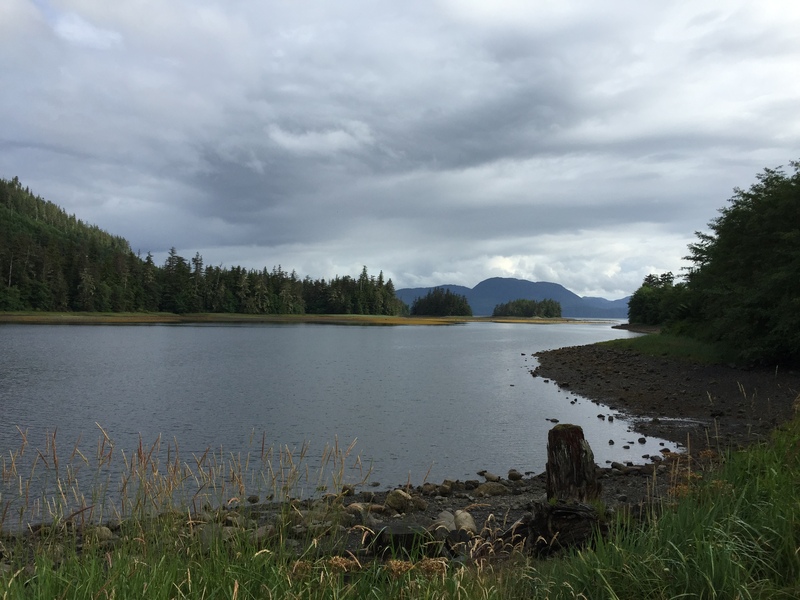 I’ve been making more photos of Southeast Alaska this summer…do you get tired of them? 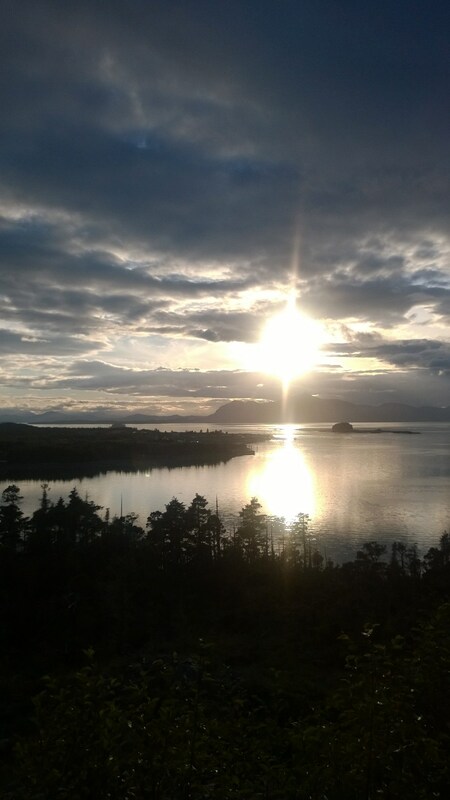 I sometimes take for granted the views and sights that surround me. But they’re worth sharing, I think. So this is my latest group of scenes. One day I’ll look back on this time and be surprised I was here, and saw all these things. One day this will seem surreal. But for now, these are the images of daily life. I’m doing a personal development course this coming week, beginning today, and one of the requirements is being off line. So, no cell phone use, no lap top. It makes me a little anxious to turn off, to be out of touch. What if something happens? What if someone needs me? Family has a contact number for the retreat center, and I expect the rest of the world will hardly notice I’m gone. Maybe as much as turning off and tuning out helps the individual to focus, it’s also a reminder…I’m one person, and the world can get along very well without me for a few days. I’m valuable, as all people are. But perspective is helpful, and a reminder that I’m not indispensable is a good thing, I’m thinking. Wish me luck, I’m diving deep! Thank you for sharing all of these pictures. It may be the only way I will ever experience Alaska, so I appreciate seeing this beauty through your lens. 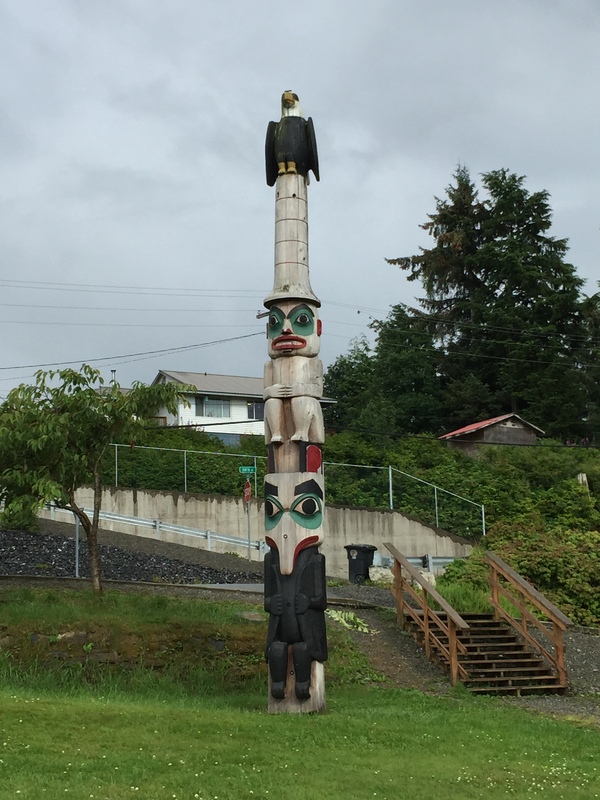 Discovery of new little places, like this totem pole park, is always fun. I hope that you are able to discover many more treasures as you dive deep this week! 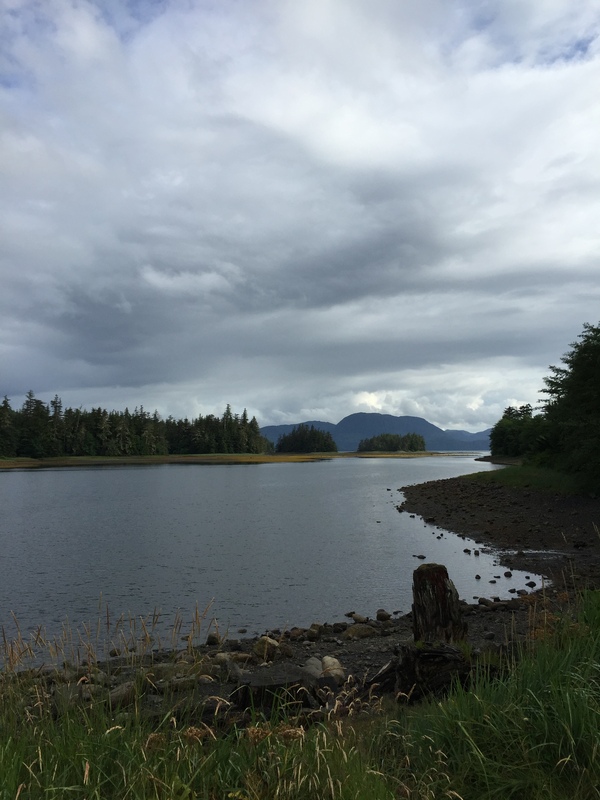 Beautiful scenery and beautiful pictures to prove it! I’m sure it is all inspiration for more writing and blog posts. Enjoy your week of refreshment and renewed purpose! 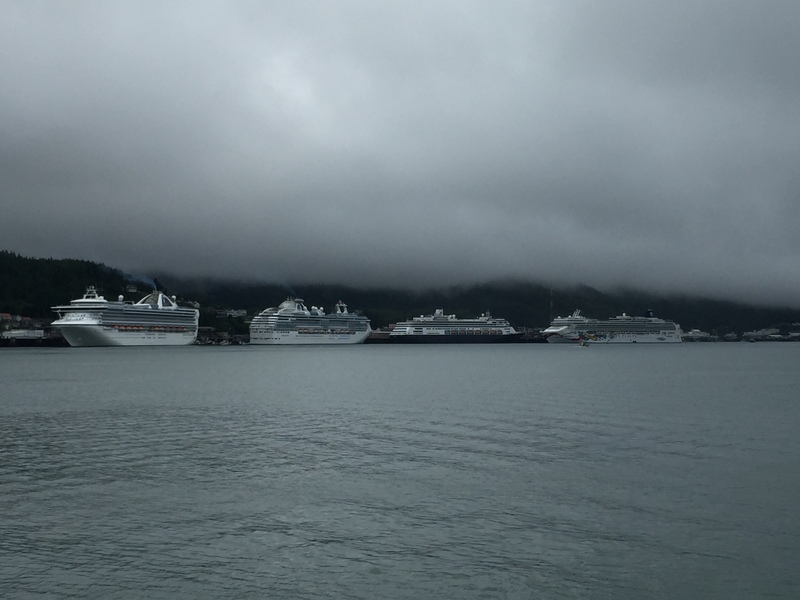 Luv hearing about Alaska…thanks Sheila. The pictures are beautiful! So glad that your trip turned out okay, even with all the glitches. I can’t imagine being “unplugged” for a week. It’s probably a good thing, though.